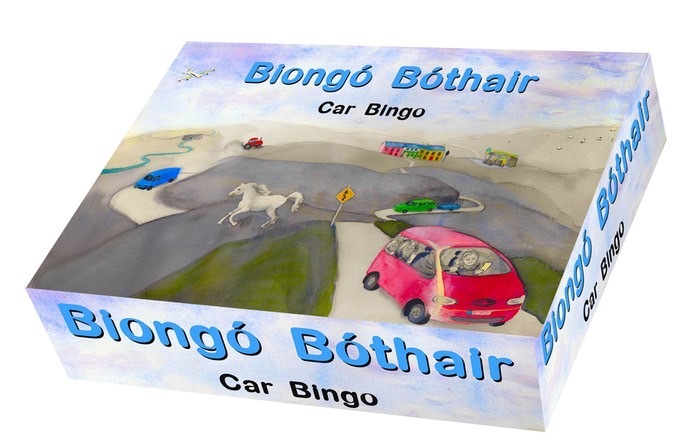 Biongó Bóthair (Car Bingo) is here for children to find and tick off what they see, keeping them busy as you drive through city and country. From trampolines to tractors, from Gardaí to garden sheds, there are 48 items to look out for, 12 on each sheet, 6 cards for town trips and 6 more for drives through the countryside. 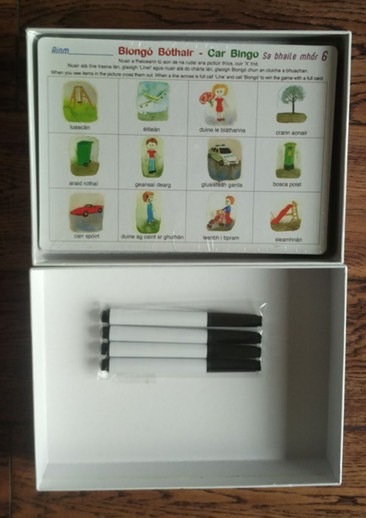 The bingo cards are wipeable, and can be used again and again.